Pure relaxation and luxury! 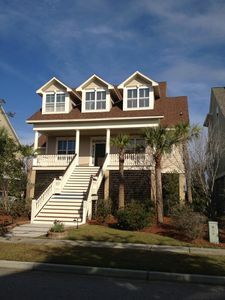 Platinum rating given to this home by Kiawah Island Golf Resort. 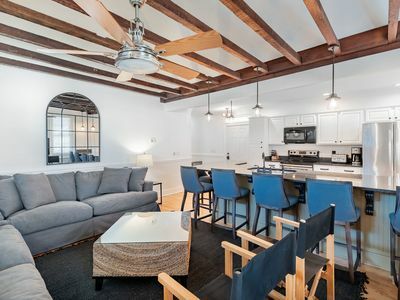 This home is for those who really want the best for their vacation. 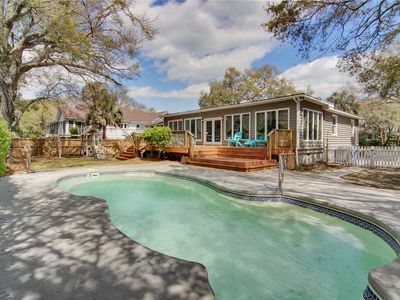 Tucked behind the second gate in the exclusive Vanderhorst Plantation area of the island, this freshly renovated home in the Ocean Green community is a short walk to the beach, and offers free community pool access. 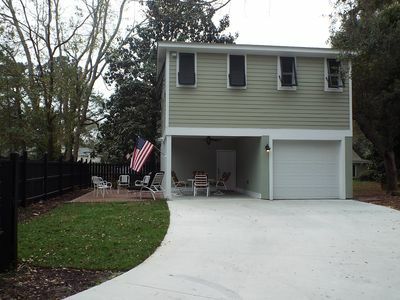 Featuring fairway and lagoon views, this non-smoking home also includes hardwood floors, a fireplace, ceiling fans, and a sunroom. 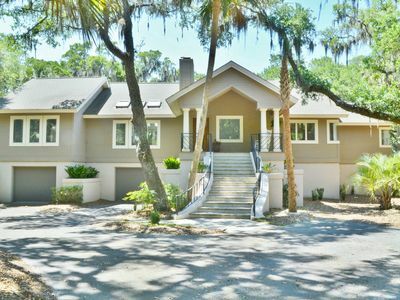 With four bedrooms and three-and-a-half baths, this home accommodates up to twelve guests. This home is professionally designed and decorated and has a 'platinum rating' for interior design and fixtures. 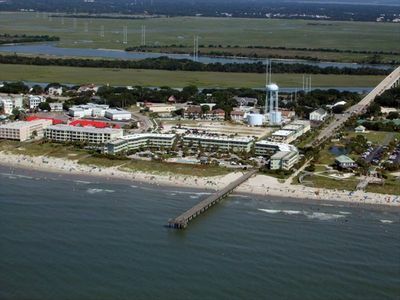 Plus, it is a short walk to the beach. 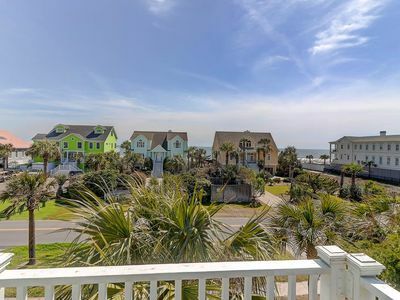 Most homes in Vanderhorst require you to get in your car and drive to the beach. Not here! A five minute walk, or a three minute bike ride, and you are there! In addition, the home is on a quiet cul-de-sac. 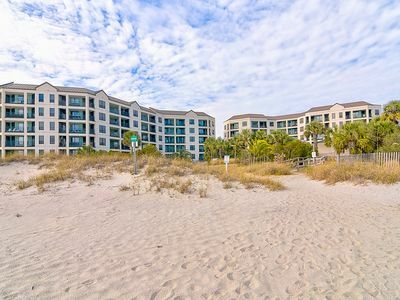 So you get the best of both: walking access to the beach, yet the peacefulness and quietness of being off beach. FIRST FLOOR: The spacious great room includes a living area with hardwood floors, a ceiling fan, a wood-burning fireplace. Built-in bookshelves flank the fireplace, and contain a 47” HDTV with Blu Ray DVD player and DirecTV. A Bose Wave Radio CD player with IPOD dock stereo is available, and there are some books for a little vacation reading. The luxury kitchen is separated from the rest of the great room by a breakfast bar. 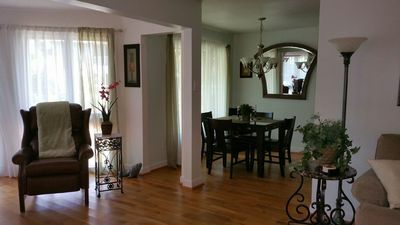 The dining area is adjacent, and has a round table that can accommodate up to eight guests. 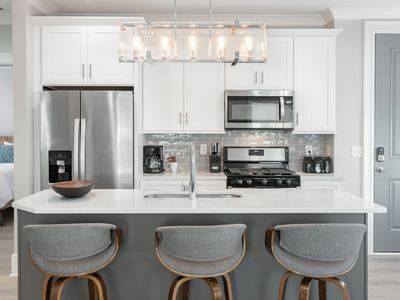 The sunroom overlooks the 13th fairway of the Turtle Point golf course, and has access to the furnished screened porch, complete with ceiling fans and a dining table for four. 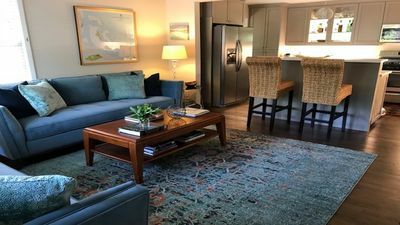 The first-floor master bedroom is furnished with a king bed and includes private access to the screened porch and a full private bath with a whirlpool tub. The whirlpool tub has luxury chromotherapy lighting. It is awesome! The bathroom also has a separate luxury rain shower, and exquisite lighting and decor. 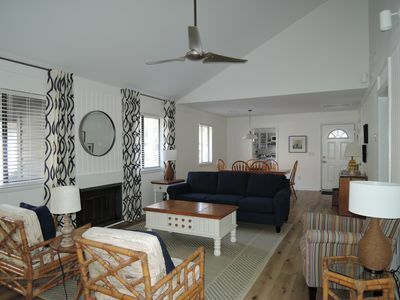 SECOND FLOOR: On the second floor, a cozy media room includes an HDTV and a Bose Surround Sound System. A second bedroom (really a second master suite) is furnished with two queen beds (yes, two queens! 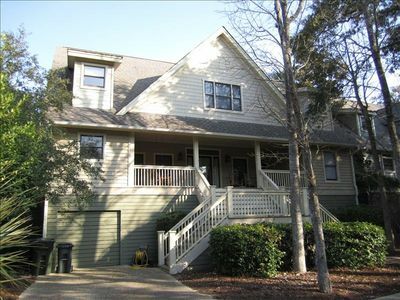 ), and includes its own full private bath and private access to the second floor deck. 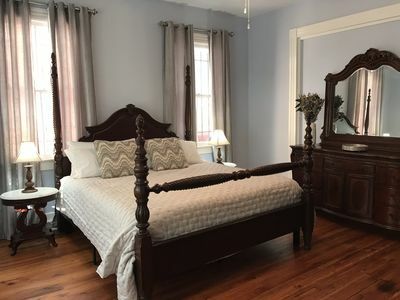 A spacious dormered bedroom furnished with a queen bed and two twin beds shares the full hall bath with a fourth large bedroom, also dormered, and furnished with two twin beds. 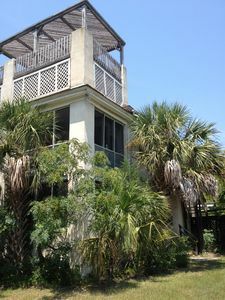 Both of these bedrooms include access to the second floor deck. (c) Casual Island Dining: The Night Heron Grill, The Market at Town Center. 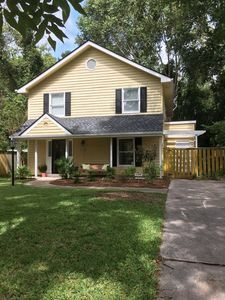 This home includes free parking, initial supply of linens and towels, washer and dryer, gas grill, eating tables both inside and outside, DirecTV with HDTV and Blu Ray, air conditioning, starter supply of paper products and detergents, local telephone service, 24-hour security in a gated community. Please note that we rent this home is on a “limited rental basis.” We limit the number of visits per year and have superb furnishings to ensure the utmost in quality and experience. 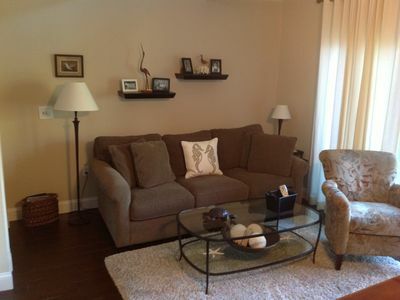 It is not your typical rental home that moves people in and out continuously. The rate is higher than most homes. If you want the utmost in location, comfort, and quality, this place is for you! Also, due to limited rental basis, we can easily handle unique arrival and departure days, stays that involve the weekend on both sides, or stays longer than one week. 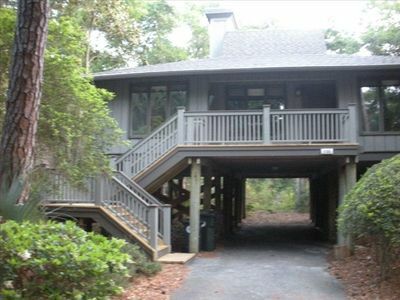 Finally, we do use a local agency on Kiawah to help you. If you have any maintenance issues or some type of emergency, they are there 24/7 to help. 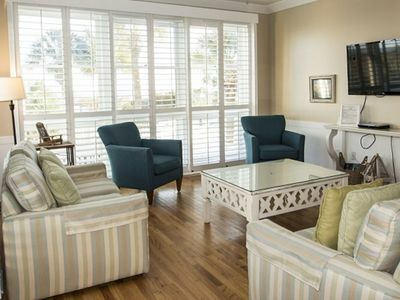 It costs us a bit, but we have found it is best and provides ideal service to those enjoying their time on Kiawah. 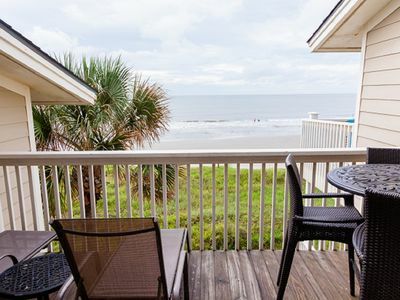 Walk Off OCEANFRONT Balcony to Beach! Community Pool! 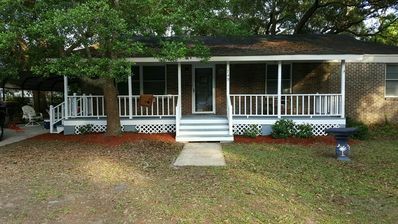 Cozy Home 3 Miles to Sullivan’s Island Beach!